We’ve scoured the county’s art galleries for the best exhibitions coming up in December. Remember you don’t have to be an art collector to visit these galleries – pop in for a look at some stunning local work. Just don’t touch…. Two exhibitions are coming up at St Ives’ Millenium gallery. The first is Drawing the Line, a charity exhibition organised by Kate Walters in aid of Freedom from Torture. Many artists have donated works, including ‘Walking the Dog’ (below) by Peter Randall-Page, which will be available through silent sealed bids during the exhibition. Preview evening: 7-9pm, Saturday 30 November. The exhibition continues until 7 December. The second is the gallery’s annual ‘Winter exhibition’ which features new work by many of their regular artists. Preview evening: 7-9pm, Friday 13 December. The exhibition continues until 15 January. Further details of both exhibitions can be found on Millenium’s website. John Brenton returns for his 13th consecutive year’s exhibition at the Fowey River Gallery from 30 November until 14 December. 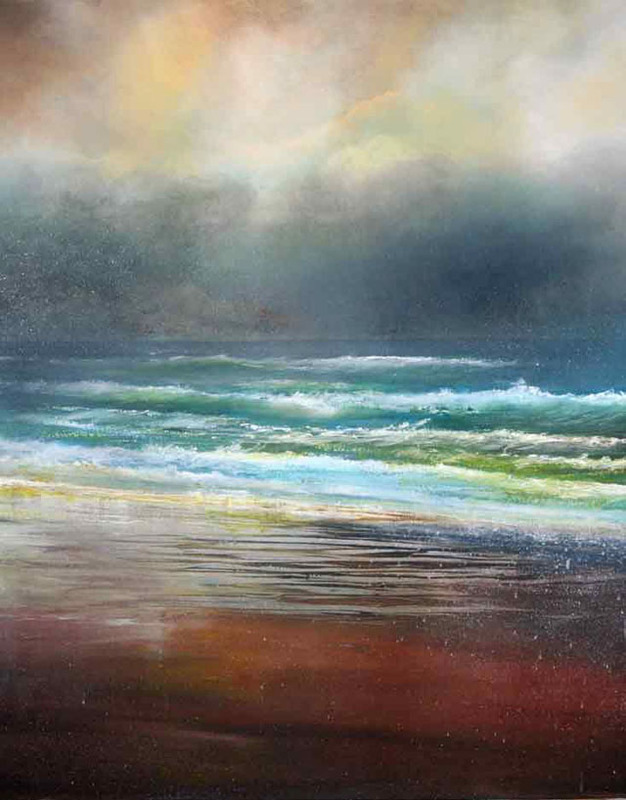 John is well known for his skill in capturing in impressionistic style, the energy and strength of waves, dramatic skies and the calm of hidden valleys. This summer he spent time in Fowey during Regatta Week and this exhibition includes his magical paintings, full of the colour, life and vibrancy of the estuary at this special time of year. 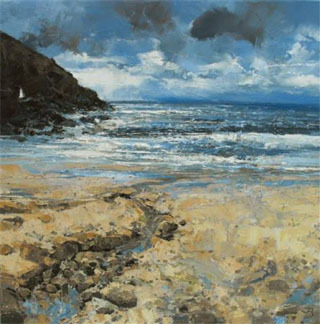 The Camel Valley Gallery is owned and managed by artist John Tregembo, who has exhibited through many local galleries over the past few years. Now just past one year old and building on its reputation as a gallery which always has something different for art lovers, a varied selection of both local artists and creators from farther afield are represented. Work in the gallery at present covers abstract, impressionistic and more traditional images as well as a selection of ceramics and glassware. The gallery will be participating in the late night shopping in Wadebridge again this year so pop along for a drink and mince pie and John will try to help you find something beautiful to brighten up your walls. Amy Cooper will be the ‘Maker in Focus’ at Cornwall Crafts Association Gallery at Trelissick, from now until 22 January. 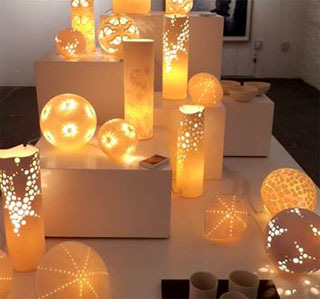 Amy makes beautiful porcelain lamps with delicate designs that suggest tales, secrets and darker stories. The exhibition also introduces 6 new members: Sarah Jane King’s award winning jewellery, Paul Pennington’s stunning silver jewellery, Stuart Griffiths’ funky silver jewellery, Sandra Austin’s acclaimed jewellery collection, Chelsea Holter’s distinctive contemporary prints of Cornish scenes and Jill Bevan’s vibrant, energetic ceramics. Hot on the heels of the hugely successful Pure Evil exhibition, POP‘s next show is Contemporary Pop Art in Cornwall, by Ben Allen. 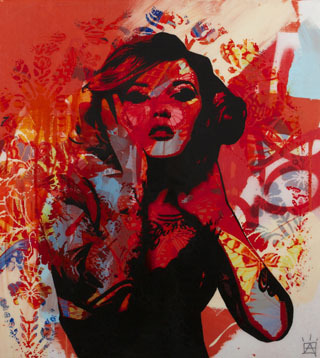 Brighton-born and now Cornwall-based, Ben Allen is an emerging artist in the world of 21st century Pop Art whose work is exhibited internationally and collected by the likes of Sir Richard Branson, Stephen Dorff and Jade Jagger. 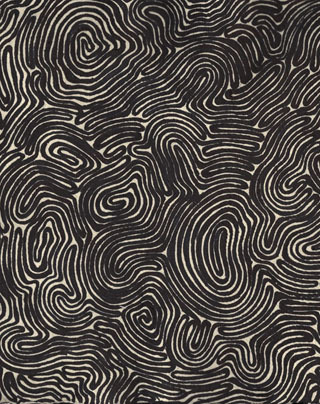 Ben’s work is inspired by fashion magazines and comic books; cult films and record sleeves; tattoos and skateboard culture; Japanese graphics and Mexican iconography; surfing and nature; Americana and the punk scene. Opening on Saturday 14 December with mulled wine and festive food, and running until 31 January. Strong Adolfos‘ first exhibition runs from 30 November to 3 January and features works painted by Dan Crockett in the outer Orkney Islands during Autumn 2013. 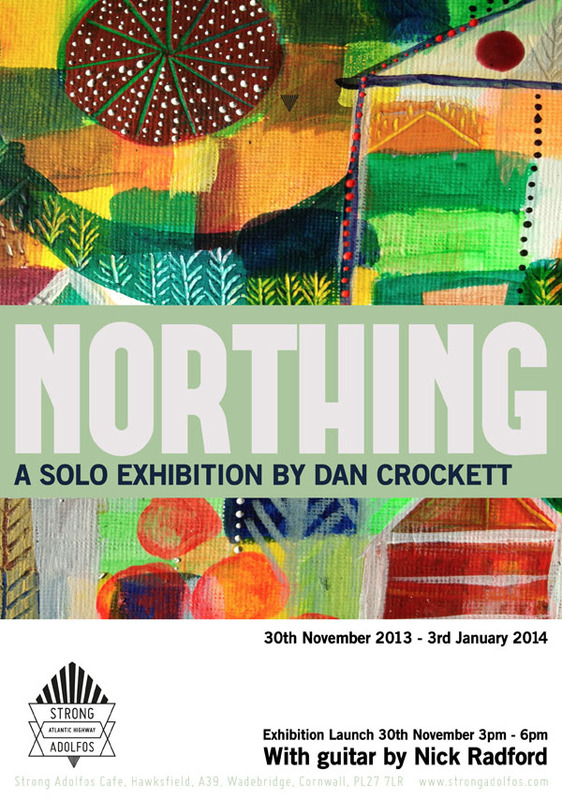 Northing is the first solo exhibition by writer and surfer Dan Crockett and the Northing series was created during a spell of intense exposure to the wild.